SECTION 1. The name and title of this body shall be: “The Grand Council of Cryptic Masons of the District of Columbia”. It shall have a seal bearing suitable devices and inscriptions, which shall be affixed to all instruments issued by or under its authority. SECTION 2. Its jurisdiction shall extend over the territorial limits of the District of Columbia. Provided, further, that where any Grand Jurisdiction, whose boundaries abut the District of Columbia, has enacted legislation granting concurrent jurisdiction with the District Of Columbia in any county or counties, city or cities, thus permitting a resident of such jurisdiction to apply to a District of Columbia Council for membership, the Grand Council of the District of Columbia does hereby grant like concurrent jurisdiction permitting a resident of the District of Columbia to apply for membership in a Council in such county or counties, city or cities, provided, further, that the provision for twelve months’ residence in the District of Columbia is and shall be waived for an applicant residing in such jurisdiction granting such concurrent jurisdiction. (a) Officers as follows: Grand Master, Deputy Grand Master, Grand Principal Conductor of the Work, Grand Treasurer, Grand Recorder, Grand Visitor and Lecturer, Grand Chaplain, Grand Captain of the Guard, Grand Conductor of the Council, Grand Marshal, Grand Steward, and Grand Sentinel. No one shall be eligible for office in this Grand Council who shall not have attained the rank of Master of a Council; provided, this limitation shall not apply to the Grand Treasurer, Grand Recorder, Grand Chaplain, and Grand Sentinel. (b) Past Grand Officers as follows: Past Grand Masters, Past Deputy Grand Masters, Past Grand Principal Conductors of the Work, Past Grand Treasurers, and Past Grand Recorders, so long as they remain members of Councils working under this Grand Council. (c) The Master, Deputy Master, and Principal Conductor of the Work of the Constituent Councils working under this Grand Council. (d) All Past Masters of Councils working under this Grand Council and all Past Masters from another jurisdiction who have been elected to active membership in this jurisdiction, so long as they remain members in good standing of Councils under the jurisdiction of this Grand Council. SECTION 4. Any Officer of a Council specified in Section 3, paragraph (c) may be represented and vote by proxy, said proxy being at the time of service a member of the same Council as his principal; provided, that such proxy does not, by virtue of his designated authority, become a member of this Grand Council. SECTION 5. The title and designation of the Grand Master shall be “Most Illustrious”; of the Deputy Grand Master, Grand Principal Conductor of the Work, Grand Treasurer, and Grand Recorder, “Right Illustrious”; and of the remaining Officers, “Illustrious”. See Appendix 1. (a) There shall be one stated Annual Assembly of this Grand Council, which shall be held on the third Saturday in March, or the Friday immediately preceding the third Saturday, within the District of Columbia at the hour as the Grand Master may designate. (b) The Annual Assembly shall be hold in conjunction with the Grand Chapter of Royal Arch Masons and the Grand Commandery of Knights Templar, both of the District of Columbia. The Annual York Rite Banquet of the three said bodies will be held on the Friday evening preceding the third Saturday. If the Friday preceding the third Saturday is Good Friday, the Annual Assembly, Convocation, Conclave, and Banquet will be held on the following Friday and Saturday. The order in which the Annual York Rite Sessions will be held will rotated annually, that is one organization each on Friday, Saturday morning, and Saturday afternoon. (c) The Grand Council shall pay for not more than two night’s lodging. Banquet tickets, Ladies Luncheon and entertainment for the General Grand Master and his Lady or his designated representative and his Lady, when either or both attend the Annual Grand Assembly. (d) The Grand Council shall pay for banquet tickets for visiting Grand Masters, other General Grand Council Officers, and their Ladies, and for the luncheon and entertainment for these Ladies. (e) Special Assemblies may be called by the Grand Master and it shall be his duty, upon written request to him from a majority of the Councils, to call a Special Assembly. No business shall be transacted at a Special Assembly except that which is specified in the notice or summons convening the same. SECTION 7. The Officers of the Grand Council shall be chosen at the Annual Assembly. The Grand Master, Deputy Grand Master, Grand Principal Conductor of the Work, Grand Treasurer, Grand Recorder, and Grand Captain of the Guard shall be elected separately by ballot. The Grand Visitor and Lecturer, Grand Chaplain, Grand Conductor of The Council, Grand Marshal, Grand Steward, and Grand Sentinel shall be appointed by the Grand Master for the term of one year. Service as an appointive Officer shall not be construed as a prerequisite to either appointment or election to a higher office. SECTION 8. The election for any office not being filled by the reelection of an incumbent or by advancement of an elected Officer shall be by written secret ballot. The election of other elective Officers shall be by written secret ballot when the representatives (the top three Officers or their proxies acting for them) of two Councils so request in writing, such request to be presented to the Grand Recorder at least 30 minutes before the start of elections. Otherwise the elections for such Officers may be by secret written ballot or by acclamation, at the option of the Grand Master. The procedure for election by acclamation shall be by proper motion, regularly made and seconded, that the named candidate be elected by acclamation. If the motion passes by a majority vote, the named individual is elected. If not, the election for that office must be by secret written ballot. A motion to elect by unanimous ballot shall be out of order. SECTION 9. The Officers of this Grand Council shall be installed at the Annual Assembly by the Grand Master, a Past Grand Master or, in their absence, by some member of this Grand Council designated by the Acting Grand Master, and shall hold office for one year, or until their successors are elected or appointed and installed. If any Officer be absent from the general installation, he may be installed at any suitable time and place under the direction of the Grand Master; a report of said installation shall be made immediately to the Grand Recorder; provided, that when an Officer of thiss Grand Council or of a Constituent Council succeeds himself in any office, be need not be installed a second time. SECTION 10. In case of a vacancy in any office, the Grand Master may fill the same by appointment until the next annual election; provided, that when a vacancy shall occur, from refusal to serve, the Officer vacating, not having served one full term, shall not be regarded as a Past Grand Officer of that grade; nor shall a Companion who has filled an elective office by appointment be regarded, by reason thereof, as a Past Grand Officer. SECTION 11. This Grand Council is a body of Cryptic Masons in whom is inalienably vested the government and superintendence of Cryptic Masonry within its territorial jurisdiction, subject only to its obligations to the General Grand Council of Cryptic Masons International. It shall have the power to grant charters for Councils to confer the degrees of Royal, Select, Super-Excellent Master, and Thrice Illustrious Master; and demand and receive therefore, and for dispensations, such fees as are hereinafter provided. It shall assess and collect from the several Constituent Councils such sums of money as the good of the Craft may require. It shall prescribe the minimum fee for admission into a Constituent Council. It shall establish and maintain a uniform mode of work. It shall bear and determine all appeals between two or more Councils. It shall exercise all such powers as belong to it by custom or the ancient constitutions and regulations of the Craft. SECTION 12. All questions shall be decided by a majority of the members present; provided, that on appeal, a two-thirds vote shall be necessary to reverse the decision of the Grand Council. Each member of this Grand Council, or proxy acting for his principal, shall have one vote and no more in his own right; provided, that the Grand Master or the Presiding Officer shall cast the deciding vote in all questions except in the election of Officers. No Council, its representatives, or Past Masters, shall be entitled to vote until all dues owing by said Council to the Grand Council shall have been fully paid or remitted. (2) If not then is his proxy from the Constituent Council entitled to vote even though the principal is present? Neither the Grand Council Constitution nor the Grand Lodge Code is clear on this point although a breakdown of the Grand Lodge voting practice provides one vote only for a Past Master serving as a Grand Lodge Officer. It seems clear that the Grand Council Officer should be restricted to one vote. It seems equally clear that no Constituent Council should be denied the right to have an individual vote cast by each of its three Council Officers. SECTION 13. The representatives of a Council shall be its Master, Deputy Master, and Principal Conductor of the Work, or proxies by them named at a Stated Assembly of each respective Council and confirmed by a majority vote of said Council; provided, that an acceptable certificate of said confirmation shall be filed with the Grand Recorder prior to the Assembly of the Grand Council at which the proxy offers to vote for his principal. (a) The Grand Master shall preside at all Assemblies of the Grand Council when present, preserve peace and harmony in the Grand Council, and see that its laws are obeyed. (b) He is invested with power to grant dispensations, whenever he shall deem it expedient, for the formation of new Councils, to continue until the next Assembly of the Grand Council, on application of nine or more Cryptic Masons. (c) He has full authority to convene any Council within this jurisdiction, to preside therein, to inspect its proceedings and require its conformity to Masonic rules; he may require the attendance of, and information from, any Master respecting his office. (d) During the recess of the Grand Council, the Grand Master may exercise all of its executive functions. (e) The Grand Master, attended by the other Officers of the Grand Council, shall visit each Constituent Council annually in February. The Council to be visited shall have ten (10) days previous notice of the visitation. (f) The Grand Master shall have power to appoint suitable Companions to represent this Grand Council near other Grand Councils and the Grand Royal Arch Chapters of Virginia and West Virginia, such Companions to be vested with the powers and duties usually exercised by Grand Representatives. (g) This Grand Council will not appoint or receive any Companion as representative unless he shall have attained the rank of Master and is a member of his respective Grand Council or the rank of High Priest and is a member of the Grand Royal Arch Chapter of Virginia or West Virginia. (i) The Grand Master shall have the power to recommend to the General Grand Council candidates for the several awards of General Grand Council as given in Appendix III. The Grand Master shall consider the recommendations from his Awards Committee for each award. SECTION 15. In case of death, absence, or inability to serve of the Grand Master, the Deputy Grand Master and Grand Principal Conductor of the Work will, in succession, succeed to his prerogatives and duties for all purposes. SECTION 16. In case of the absence of the first three Officers of the Grand Council from an Assembly thereof, the Junior Past Grand Master present shall assume temporarily the office and discharge the duties of the Grand Master. Grand Master, of all moneys received and paid out by him subsequent to the previous report. All checks drawn on the Grand Council accounts shall be signed by at least two of the three above listed Officers. (b) He shall promptly deliver all moneys and other property of the Grand Council to his successor. (c) He may receive an honorarium, which from time to time shall be approved by the Grand Council, upon recommendation of the Committee on Accounts. (a) The Grand Recorder shall record the transactions of the Grand Council. He shall receive, file, and safely keep all papers and documents of the Grand Council and promptly deliver the same to his successor. He shall prepare, sign, and certify all charters, dispensations, and other instruments of the Grand Council and, when necessary, affix the seal of the Grand Council thereto. He shall receive and keep a proper account of all the monies of the Grand Council and pay the same over to the Grand Treasurer. He shall report annually to the Grand Council the amount of money received by him, by items and the specific sources from which it was received. He shall also furnish such general information as to the state of the Councils as may be proper for the information or action of the Grand Council. He shall conduct the correspondence of the Grand Council and perform such other duties as are incident to his office. (b) He may receive an honorarium which from time to time shall be approved by the Grand Council, upon recommendation of the Committee on Accounts. (a) The Grand Visitor and Lecturer, assisted by the Committee on Work and Lectures, shall instruct the Officers of the Constituent Councils in the work and lectures of Cryptic Masonry as determined upon and established by this Grand Council. He shall visit each Constituent Council at least every four months, correct erroneous work observed by him, and report at the Annual Assembly upon the work rendered by the Councils. (a) The Grand Sentinel shall take charge of the property of the Grand Council not otherwise provided for in this Constitution, keep a correct list of the same and file with the Grand Recorder and Grand Trustees a copy thereof. At the expiration of his term of office, he shall deliver to his successor the list, with the articles, and account satisfactorily for any deficiencies. (b) He shall see that the Council room is suitably prepared for the Assemblies of the Grand Council, and perform such other services as the Grand Council may require. SECTION 21. The other Officers of the Grand Council shall perform such duties as traditionally appertain to their respective offices, or as may be assigned them by the Grand Council or the Grand Master. SECTION 22. There shall be three Trustees, one of whom shall be elected by ballot at each Annual Assembly for a term of three years. They shall have custody of securities and other valuable property in such depository as designated by the Grand Council, collect interest due on same, and pay it over to the Grand Recorder. They shall make a report in writing at each Annual Assembly of the property under their custody. SECTION 23. The Grand Master shall appoint all Committees; he is ex-officio a member of every Committee. At the Annual Assembly or as soon thereafter as possible, the Grand Master shall appoint the following Standing Committees to consist of three members each, namely: Committee on Bylaws, Committee on Accounts, Committee on Jurisprudence, Committee on Correspondence, and Committee on Work and Lectures. SECTION 24. The Committee on Bylaws shall examine the bylaws of Constituent Councils and all amendments thereof, submitted to the Grand Council for approval. The approval of the Committee in the interval between Assemblies of the Grand Council shall authorize the Council to act under said bylaws until the decision of the Committee has been acted on by the Grand Council. SECTION 25. The Committee on Accounts shall examine and audit the accounts of the Grand Treasurer, the Grand Recorder, and the Grand Trustees, and present a written report thereon to the Grand Council at the Annual Assembly, and at such other times as the Grand Council or the Grand Master may direct. Its report shall embrace all the financial operations of the Grand Council. It shall also recommend the Grand Council, from time to time, the amount of an honorarium to be given the Grand Treasurer, the Grand Recorder, the Grand Visitor and Lecturer, and the Grand Sentinel for services rendered. The Committee will prepare and recommend for approval, at each Annual Assembly, a budget for the next Cryptic year, based on the anticipated revenues and expenditures. It will examine and report to the Grand Council on any proposal for expenditure of the Grand Council funds for any purpose other than usual appropriations for running expenses approved in the budget. SECTION 26. The Committee on Jurisprudence shall examine and report on the decisions of the Grand Master and all other questions of Masonic law that may be referred to it by the Grand Council or the Grand Master. SECTION 27. The Committee on Correspondence shall examine the proceedings of other grand bodies with which this Grand Council is in correspondence. It shall report such matters found therein as effect the general or local welfare of the Craft, accompanied by such recommendations as it may consider expedient. It shall examine all correspondence of the Grand Council referred to it, and report thereon. SECTION 28. The Committee on Work and Lectures shall cooperate with the Grand Visitor and Lecturer in seeing that the Officers of the Constituent Councils are properly instructed in the work and lectures Of the Several degrees. It shall decide all appeals made to it concerning points of differences between the Masters of the Councils and the Grand Visitor and Lecturer. Its decision shall be final unless set aside by the Grand Council. It shall report at the Annual Assembly concerning such questions and appeals as may have been submitted to it. SECTION 30. All governmental powers, whether executive, legislative, or judicial, not expressly delegated by the Grand Council, are inherent in and reserved to it as the supreme governing body. SECTION 31. This Grand Council his exclusive power to constitute Councils within its jurisdiction; and it shall have power to ordain and prescribe regulations for their government not in conflict with its allegiance to and affiliation with the General Grand Council of Cryptic Masons International. A Council of Cryptic Masons shall consist of a Master, Deputy Master, Principal Conductor of the Work, Treasurer, Recorder, Chaplain, Captain of the Guard, Conductor of the Council, Marshal, Steward, and Sentinel, and as many members as may be convenient, congregating and working by virtue of a dispensation or charter held under this Grand and at the place designated in the dispensation or charter or by the Grand Council. Each member of a Council, when present, shall be entitled to one vote in all proceedings of the Council. SECTION 32. The first five Officers of a Constituent Council shall be elected annually by ballot at the Stated Assembly in January and the remainder shall be appointed by the Master, or elected as the bylaws of the Council shall provide, and these Officers shall be installed after the Grand Visitation, but before the Annual Assembly of the Grand Council. SECTION 33. The title and designation of the Master shall be AIllustrious@ and of the other Officers and members “Companion’; provided further, that the title of “Illustrious@ shall be accorded those Companions who have served as High Priest of a Royal Arch Chapter in Virginia or West Virginia. SECTIN 34. No Companion shall be eligible to the office of Master who has not been regularly elected and served either as Deputy Master or Principal Conductor of the Work for a period of one year, except in the formation of a new Council or the existence at one and the same time of vacancies in the first three offices of a Council. SECTION 35. No Companion shall be installed as Master until he shall have furnished a certificate of proficiency from the Grand Visitor and Lecturer certifying to the fact that he is qualified to open and close a Council, and conduct the business therein, and that he has a general working knowledge of the Degrees, and is ca able of arranging for the Degrees to be conferred in an impressive and creditable manner. Such certificate shall be made a part of the minutes of said Assembly. SECTION 36. The Master shall not be responsible for his official acts or otherwise to the Council over which he presides, but shall be at all times subject to discipline from the Grand Council or Grand Master. SECTION 37. A vacancy in any elective office, other than that of Master, may be filled at any Stated Assembly after notice to the members and by dispensation of The Grand Master; provided, that vacancy can occur only by promotion, death, resignation, refusal to serve, suspension, expulsion or permanent removal from the jurisdiction, but nothing in this section shall be construed to abridge the authority of the Master over appointive Officers. SECTION 38. The Master, Deputy Master, and Principal Conductor of the Work shall, immediately after installation, appoint proxies to represent them in the Grand Council, in case of their absence. The proxies shall be confirmed by a majority vote of the Council. SECTION 39. Special Assemblies may be called by the Master, but no business shall be transacted at such Assemblies except that specified in the notice convening the same. SECTION 40. All business shall be conducted in a Council opened on the Select Master Degree. No Council shall be opened unless there shall be present at least five regular Select Masters, at least three of whom shall be members of that Council, and shall include the Master, Deputy Master or Principal Conductor of the Work. Three members of the Council shall constitute a quorum for business, and all business conducted in the absence of a quorum shall be null and void. SECTION 41. Every Council shall furnish to each of its members in good standing a card or certificate of that fact annually, under seal, according to a form to be furnished by the Grand Recorder; said card or certificate to be signed and attested by the Grand Recorder under the seal of the Grand Council. The cost of said card or certificate shall be paid for by the Council issuing same. SECTION 42. No Council in this jurisdiction shall confer the Degrees of Royal and Select Master for a sum of less than ten dollars, which fee must be paid by every candidate, nor upon any one who has not received the Degrees of Royal Arch Masonry and is a member in good standing of a Lodge and Chapter; provided, however that petitions for the Cryptic Degrees may be received and balloted upon from any one who has petitioned a Royal Arch Chapter for the Capitular Degrees. SECTION 44. Any Council may, at a Stated Assembly, dispense with not more than two of the succeeding Assemblies by vote of a majority of the members present. SECTION 45. All admissions to membership upon petitions for Degrees, for affiliation, or for reinstatement after one year’s suspension for nonpayment of dues shall be determined by unanimous ballot. SECTIONN 46. No petition for affiliation shall be received unless accompanied by a demit or certificate of transfer or a certificate of good standing in due form from a legally constituted Council of Cryptic Masons, or from a Chapter of Royal Arch Masons in Virginia or West Virginia. SECTION 47. A member in good standing of a Council in this jurisdiction may become a dual member of another Council in this or another jurisdiction permitting such dual membership without affecting his standing in his primary Council, and may retain such dual membership so long as he remains in good standing in his primary Council. A dual member may sever his membership in the Council of which he is a dual member at any time, but no demit will be issued. In lieu thereof, and at his request, the Recorder may give him a letter, over the seal of the Council, stating that he has paid all monies due the Council and voluntarily terminated his membership. A member demitting from his primary Council shall lose his dual membership in another Council in this jurisdiction unless he shall within ninety (90) days deposit the demit with the Recorder of the Council of which he is a dual member, in which case that Council becomes his primary Council. A dual member is entitled to all the rights and privileges of the highest rank he has attained in Cryptic Masonry, and is subject to all the duties and obligations of a regular member, including payment of dues. SECTION 48. 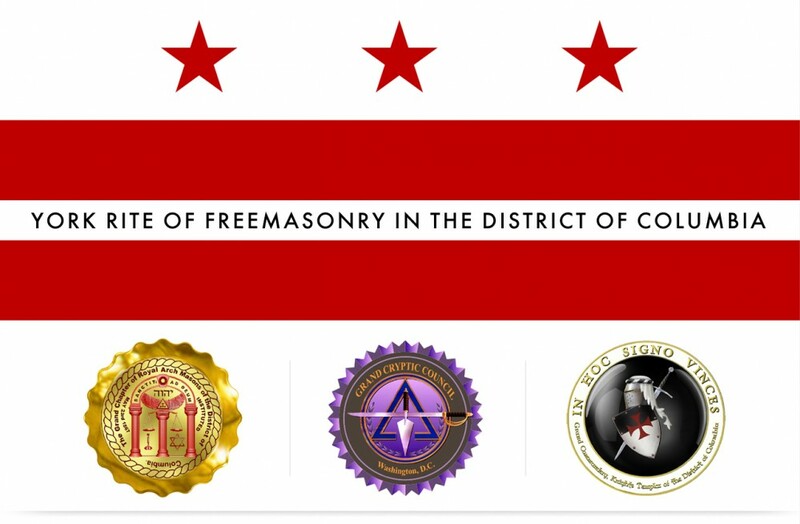 Non-affiliated Cryptic Masons of this jurisdiction, in affiliating with a Constituent Council, shall obligate themselves to bear true faith and allegiance to the Constitution, Rules and Regulations of the Grand Council of the District of Columbia. SECTION 49. A member of a Council demitting from his Blue Lodge and/or Chapter and remaining non-affiliate for six (6) months shall be dropped from the roll of his Council until such time as be affiliates with a Blue Lodge and/or Chapter, but, upon payment of all demands made against him on the Recorder’s book, he shall be granted a demit. SECTION 50. A Companion of this jurisdiction desiring to change his membership from one Council to another may do so under the procedure outlined herein without first obtaining a demit. He shall first notify his Council of his desire to transfer his membership. This notice shall be read in open Council at a Stated Assembly, when, if no charges have been or are about to be preferred against him and his dues have been paid three months in advance the Recorder shall issue to him a certificate under seal of the Council showing that his dues have been paid as aforesaid and stating the purpose for which the certificate is issued. This certificate shall be deposited with his petition in the Council which he desires to join and shall be regarded as the necessary documentary evidence to accompany a petition for affiliation. If elected, the Recorder of the petitioned Council shall immediately notify the Council of which the petitioner is a member and his membership therein shall cease from the date of said election. If the ballot on his petition should be unfavorable, be retains his membership in the first Council. A certificate issued to a Companion desiring to transfer his membership as herein provided shall be void if not presented to another Council within two months from the date issued. If favorable action is not taken within three months from the date of the certificate, the petitioner shall still be a member of the original Council and chargeable with dues therein. A certificate of transfer of membership from a Council in another jurisdiction having a similar law may be accepted in the same manner and with like effect as above specified. Nothing in this action shall operate to change the law of this Grand Council regarding demits or affiliations. SECTION 51. The suspension or expulsion of a member of a Constituent Council by a Blue Lodge and/or Chapter carries with it a like sentence in the Council. SECTION 52. Every Council shall submit its bylaws to the Grand Council for approval; and every alteration or amendment made after such approval, except as relates to fees, dues, or salaries of Officers, shall be submitted in like manner after its adoption. SECTION 53. Every Council shall close its books and accounts to and including, the thirty-first of December of each year. It shall make a just and true return to the Grand Council of all its members as of December 31st and furnish other information as may be required, at least ten days before the annual visitation. Such returns shall be on forms provided by the Grand Recorder and accompanied by the amount of its dues and fees to this Grand Council. Further, for each Companion reinstated after being dropped for non-payment of dues, the Council shall pay to the Grand Council all dues assessments for the Companion for the year “dropped” and for the year of reinstatement. SECTION 54. The Recorder of each Council shall not later than two days next subsequent to a Stated Assembly, notify the Grand Recorder of all applications for the Degrees, affiliation, or reinstatement; also, of all greetings, demits, and deaths. The Grand Recorder shall, on the first day of each month, transmit a copy of these returns to the Recorder of each Constituent Council, who shall read the same for the information of the Companions. (a) A primary resolution proposing the consideration of such consolidation shall be presented at a Stated Assembly of each Council interested and, if a majority of the members present and voting favor the proposition, it shall be declared adopted. A Council adopting such a resolution shall notify in writing the other Council or Councils involved, the Grand Master, and the Grand Recorder. (b) If adopted, a committee of three shall be appointed in each interested Council to meet with the committee or committees of the other Council or Councils for the purpose of considering all details of the consolidation. (c) If and when such committees shall have mutually agreed upon a plan of consolidation, a final resolution of consolidation shall be prepared incorporating a statement of the same. Such resolution of consolidation shall include details and recommendations with respect to the name and number of the consolidated Council, the place of meeting, the disposition of the charters and seals, the assumptions of assets and liabilities by the consolidated Council, the rights of members, the bylaws, the election of elective Officers, the installation of Officers, and the date and place for the first Assembly of the consolidated Council. (d) Such final resolution of consolidation, properly signed by the members of the committee, shall be presented to the Grand Master for his consideration and approval. (e) If approved by the Grand Master, the resolution of consolidation shall be presented to each of the involved Councils at a Stated Assembly and be acted upon by each Council at a subsequent Stated Assembly or at a Special Assembly called for that purpose, of which all members of the Council shall be given at least ten days prior notice by mail. The notice may describe in general terms the purpose and effect of the resolution or may set forth its complete text. (g) The Recorder of each Council shall promptly notify the other Council or Councils in interest, the Grand Master, and the Grand Recorder of the action taken by his own Council. (h) If two or more of the Councils in interest agree on the proposition, the merger of those Councils so approving shall be considered to be completed. If more than two Councils are involved in the resolution of consolidation and one Council fails to approve same, it shall continue as though no action of this nature had been contemplated. (i) When the consolidation is finally approved, the members of the interested Councils shall meet at the same time and place specified in the resolution of consolidation and elect and install Officers. (k) The records, funds, resources, and paraphernalia of the consolidated Councils shall become the sole property of the Council formed by the consolidation, which shall assume all obligations of the consolidating Councils. The members of such consolidating Councils shall retain all the rights, privileges, and obligations they possessed in their respective Councils before such consolidation. (l) After the consolidation is approved by the interested Councils, and prior to the date specified in the resolution for the meeting of members to elect and install their Officers, the charters of the respective Councils involved shall be delivered to the Grand Recorder. There shall be placed with these charters an appropriate endorsement over the signature of the Grand Recorder and the seal of the Grand Council so that these charters shall constitute the charter of the consolidated Council. (m) All Past Masters of the involved Councils and the Masters ceasing to hold office because of the consolidation shall become Past Masters of the consolidated Council. The honorary members of the involved Councils shall become honorary members of the consolidated Council unless such member is an active member of an involved Council. (n) When the consolidation is completed, all the documents connected therewith shall be transmitted to the Grand Recorder, who shall make the necessary changes in the records of his office and issue such documents as may be required to conform to the changed conditions brought about by said consolidation. SECTION 56. The Grand Council is competent at any time to alter or amend this Constitution at a Grand Assembly on the concurrence of two-thirds of the members present; provided, the proposed alteration or amendment shall have been submitted in writing and sent to the Grand Recorder at least sixty (60) days before action can be taken upon it, and then only after written notice of the proposed amendment has been sent to all members of the Grand Council. However, prior to the opening of the Grand Assembly, an amendment may be presented to the Committee on Jurisprudence, in writing, and if reported favorably, may be adopted by unanimous consent of the members present. All members of a Cryptic Council are Companions. NOTE: “Past” is part of the Title, not part of the Designation. 1. The Order of Ish Sodi may be conferred by the Grand Master on not more than four Companions in any one year, three from this jurisdiction, not more than one of which shall be from any one Council, and one from another jurisdiction. 2. Nominations for the Order of Isb Sodi may be made by the Master of a Council, or by a Past Master and two Companions of the same Council. The nomination shall state the name of the nominee, his Masonic record, and the specific activities that are considered to qualify him for the Order. 3. To be considered, nominations must be received by the Grand Master by November 15. 4. Nominees shall not be told of their nomination, and no public record shall be made of the nomination. 5. Nominations shall remain in force for a period of three years unless the nominee shall have been selected for the Order, and nonselection for a 3-year period does not bar renomination at a later date. 6. The Grand Master or his Committee shall consider all candidates nominated, but shall not be limited in their selection to those who have been nominated. (a) Frequent attendance at meetings, not only of the Council, but all other Masonic bodies, especially the Blue Lodge. (c) Proficiency in the ritual, as exemplified by frequent participation in opening and closing ceremonies and degrees. (e) Civic, patriotic, and religious activities. (g) Contributions to humanity in professional life. 8. The Order shall be conferred in Grand Council, or, at the option of the Grand Master, it may be conferred at the Grand Visitation of the candidate’s own Council, or at some other appropriate occasion. 9. the Jewel of the order shall be the Isb Sodi Jewel as conferred by the Grand Council of New York. 10. In conferring the order, the Grand Master shall have the recipient presented at the Altar. The Grand Master and the Master of his Council, if present, shall then join him. The Grand Master shall invest him with the Jewel, and still holding the Jewel after placing the ribbon around his neck, shall say, “I confer upon you the Order of Ish Sodi”. He then drops the jewel and shakes the hand of the recipient, saying, “May your activity in Masonry long continue”. One medal awarded each Triennium to an outstanding Cryptic Mason for service to Masonry and who is well known in the Arts, Science, Business, Religion or Government. Nominations shall be made to the General Grand Master, and selection approved by the elective officers. A medal awarded to the Grand Recorder of a Council who has served 15 years or more, and not to be awarded prior to the date of qualification. A medal awarded to an outstanding Cryptic Mason for service to Masonry. One medal for each of the seven Regions, and not more than three medals-at-large per Triennium. Nominations to the Regional Deputies and selection by the elective officers. a. Only one medal may be awarded annually to a Cryptic Mason in each affiliated Grand Council. b. Only one medal may be awarded triennially to a Cryptic Mason in each subordinate Council of the General Grand Council. c. Each Grand Council and each subordinate Council shall determine its own method of selecting the Cryptic Mason of the Year in its jurisdiction. d. No posthumous awards shall be made. e. The award shall be made only for exceptional and meritorious service to Cryptic Masonry above and beyond the call of duty. No Past or Present Grand Master, or any advancing line officer of the Grand Council shall be eligible for this award; however, this restriction shall apply only to the Cryptic Mason of the Year award, and not to the Adult leadership Award. f. The General Grand Recorder shall be given the name of the selected Cryptic Mason to be engraved upon the medal at least thirty days prior to the date it is to be awarded. Subordinate Councils shall give the name of the selected Cryptic Mason to be engraved upon the medal at least six months prior to the next Triennial Assembly. g. The General Grand Recorder shall cause the name of the honoree to be engraved upon the medal and forwarded to the Grand Recorder or Recorder, if to a subordinate Council, at the earliest time following receipt of the same. One Medal presented to a member of a Cryptic Council affiliated with the General Grand Council. The nominee shall be a leader in one of the youth organizations recognized by the General Grand Council, namely: Order of Demolay, Order of Rainbow for Girls or Order of Job’s Daughters. The rules and regulations “a” through “g” above, governing the Cryptic Mason of the Year Award shall apply to the selection and presentation of the Youth Leadership Award. Each retiring Grand Master shall be presented a Lapel Pin, and Life Membership Card which designates him as a permanent member of the General Grand Council.